Kids Can't Fly have announced three of its members will be leaving. The a statement from the band, by clicking read more. So why is that? Here comes a big disappointment. It has unfortunately come to a point that due to a variety of difficult personal and professional reasons, we have had to ask Ryan to leave the band. He has willingly obliged, and with no hard feelings he is still going to be playing at the next two shows mentioned above. If that wasn’t sad enough, the gorgeous Drew Comley has made the difficult decision to stop playing with us and go and get a real grown up job, and just to really make us cry, Scott has decided to do the same. To avoid confusion, their minds were made up before our decision on Ryan, and they are not leaving because of it… we are devastated at their departure, but they too will still be with us up to and including February 11th. Kids Can’t Fly are NOT SPLITTING UP! 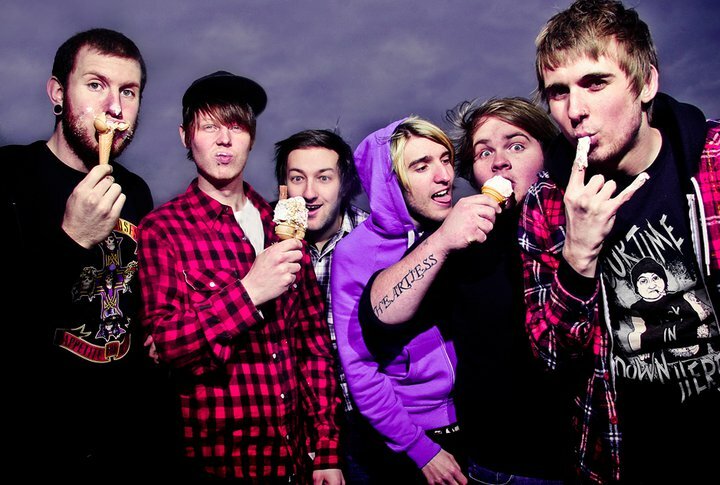 You can look forward to a 2011 filled with hot and sticky, horn filled, pop-punk extravaganzas. A stack of new tracks are on the way and a tasty new video will be underway with as little delay as possible. More news will follow soon so please stick with us, and grab your tickets now to see Drew, Scott, and Ryan off in epic style!"